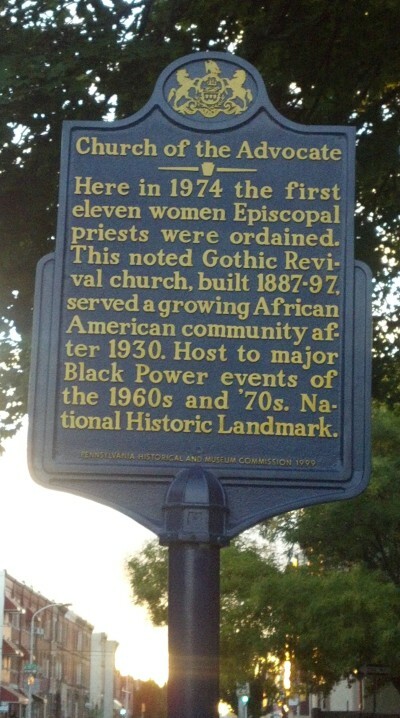 The Church of the Advocate became a center of activism for the Civil Rights Movement embracing the cause of African American and women’s rights. It was the site of several nationally significant events, including the National Conference of Black Power (1968) and the Black Panther Convention (1970). An inspiring collection of murals commissioned in the 1970’s records the “stations” of the Civil Rights Movement. These murals draw on Old Testament verses to dramatically illuminate parallels in African American history. 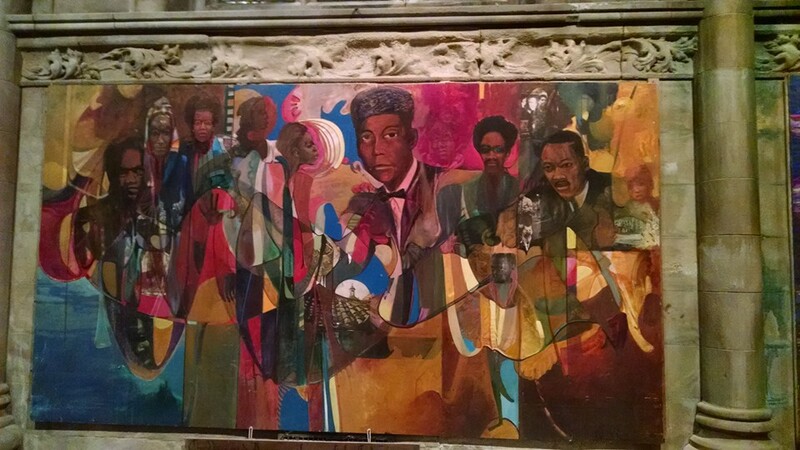 Together, the medieval revival presentation of the building and the modern murals document the critical social role played by America’s inner city churches. John Coltrane’s next-to-last performance in Philadelphia was held here on November 6, 1966. In an interview with DownBeat, Michael Brecker said he was asked to leave because the concert was for the black community. For more information, visit Church of the Advocate.